A photographer can only see what he wants to see. And what he sees is what he chooses to photograph. In my years shooting with friends and pros, that phenomenon rung true. Sports-biased photographers tend to look for subjects in motion. Product and still-life pros can see the world distinct from their backgrounds. Travel photographers' compositions can make you really want to visit a place. And portrait photographers were the first to spot beautiful faces everywhere. Incredible but true. 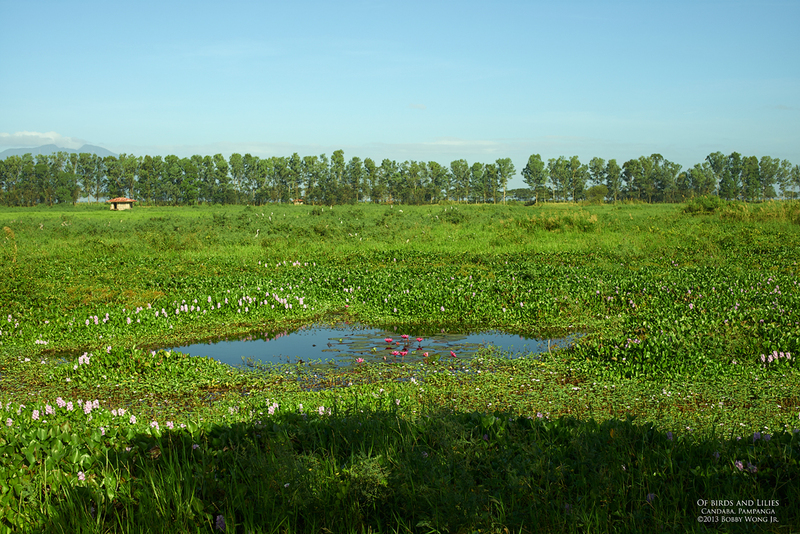 We were in the Candaba swamplands when I chanced upon this patch of lilies surrounded by lush foliage. In the distance was Mt. Arayat. Since I am inclined to landscapes, I immediately framed my shot, clicked a few, and then walked away. It was only when I got home and on my computer did I see an entire herd of white herons staring back at me from the grasslands just beyond. This was a bird sanctuary after all, and it was in the middle of the migration season, but I didn't see a single bird before I took that shot! Enjoy.